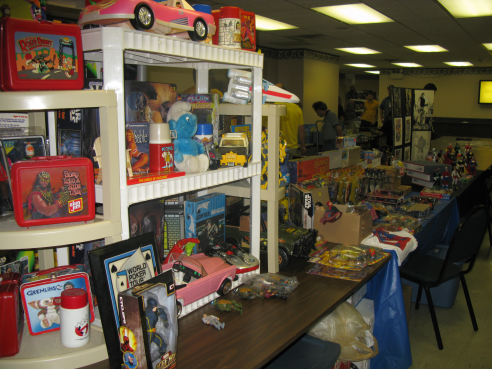 As you may have read earlier in PopCult, last Friday I drove up to The Kruger Street Toy & Train Museum in Wheeling for the first day of MEGOMeet 2010. 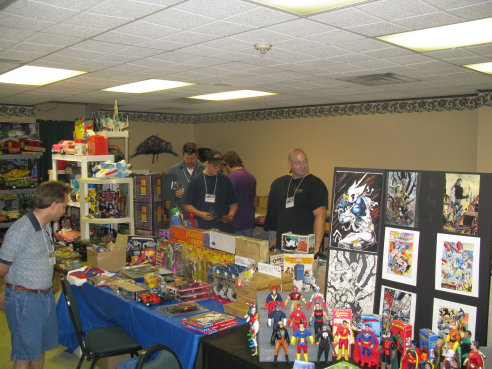 Now, keep in mind that all the cool stuff happens on day two, so I just got to see a small selection of dealers and customizers, and I didn’t get to meet the toy celebs like Doc Mego (Robot Chicken’s chief action figure supplier). 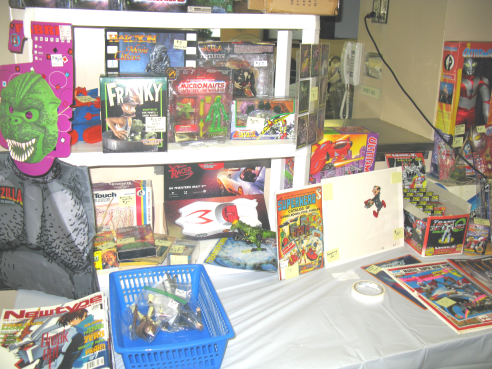 Still, I had a blast, and picked up a few cool toys. And I took lots of photos. 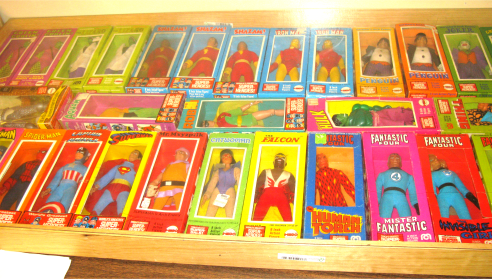 Today we’re going to look at some of the cool vintage MEGO figures. Tomorrow we’ll look at some of the cool customs and newer sets that people have created. 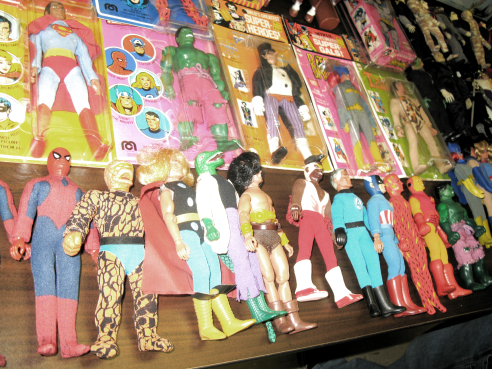 It was a collector's paradise. 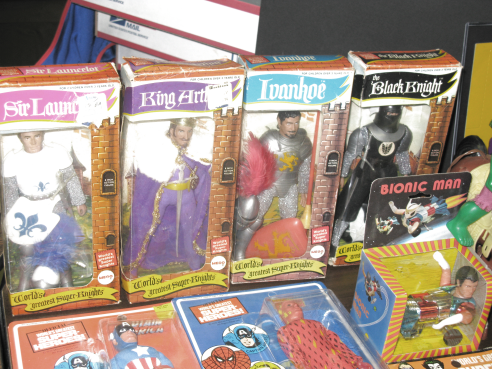 Each of these boxed figures cost more than the total black-market values of all of your major internal organs combined. 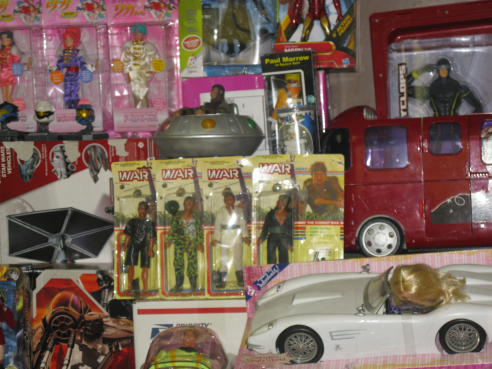 Just one of the many tables filled with childhood memories. 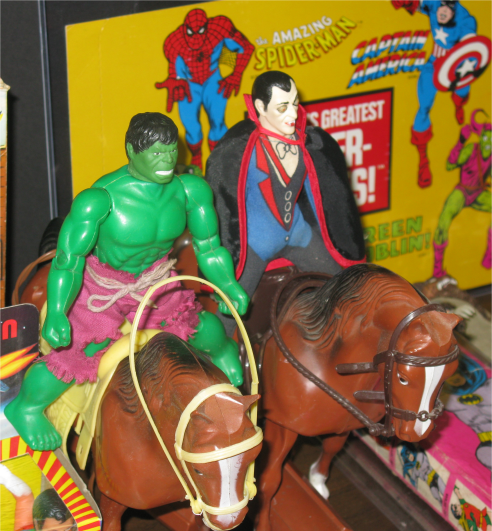 The Incredible Hulk and Dracula ride into town on horseback, and stop at a saloon. The Bartender says, "We don't get many of your types in here."….. 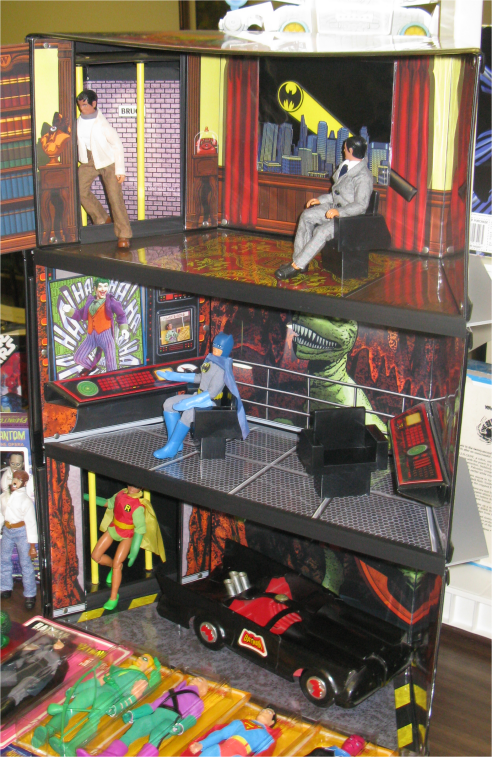 Yes, that's Stately Wayne Manor and The Batcave. Watch your drool, please. The early birds, milling around. All the really cool action took place after I left. More tables were springing up right when it was time for me to leave. 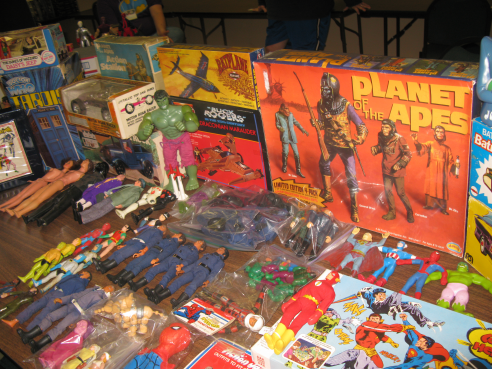 A variety of cool stuff was on display. 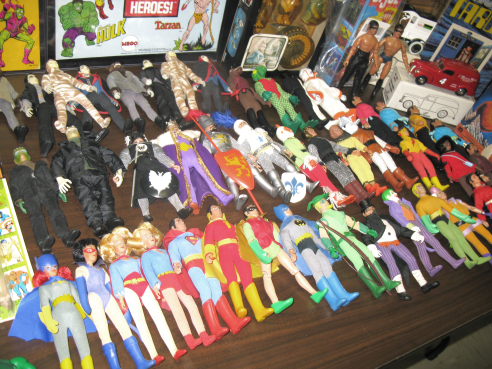 This guy had some of the coolest knock-offs. One last look at the early crowd. Tomorrow, check back for some new items and cool custom figures. “We don’t get many of your types in here”. Is that a deliberate blood joke? If so, the presence of the Hulk is superfluous.